If you’re a women who’s about to undergo radiation or chemotherapy cancer treatment and you’re thinking about getting pregnant in the future, it’s important to talk to a doctor about options that can help protect your fertility before treatment starts. Two of the most common options are the freezing or banking of eggs or embryos. Which one is right for you, and how do you know whether a bank is equipped to meet your needs? 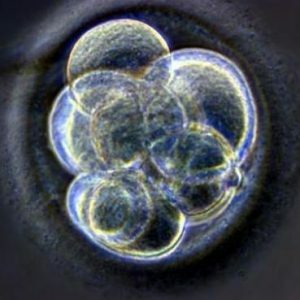 Should I freeze embryos or eggs? The best candidates for either situation are going to be different. Specifically, you should freeze embryos if you have a life partner or an available sperm donor. If you’re single or don’t have an available sperm donor, freezing your eggs will be a more suitable option. What happens to my frozen eggs or embryos? Typically, the bank you’re working with will provide you with a written agreement that contains information on how long your eggs or embryos will be stored. Once you’re ready to become pregnant, you’ll have to speak to an oncofertility doctor about how to proceed. How many live births have resulted from this facility’s work with women who’ve undergone cancer treatment? This is a good way to gauge how successful a bank is in helping women who underwent cancer therapy. How many eggs does the facility have to implant before producing a single live birth? During the egg collection process, you’ll undergo hormone treatment to drive the maturation of multiple eggs at the same time. If you’re younger than 35, by the end of this process, doctors will typically harvest about 12 eggs. Knowing how many a facility has to use to achieve a successful pregnancy is another way of gauging their success rate. Egg banking involves hormone treatment, extraction of the egg cells, annual storage fees, fertilization and implantation, so it’s wise to understand the costs before starting the process. If you need help finding a reputable and experienced bank for eggs or embryos, talk to a private health advisor. He or she can help you consult with both a bank and an oncofertility doctor. If you feel overwhelmed by your cancer diagnosis, having the resource of a health advisor on hand can help you plan the future of your family.